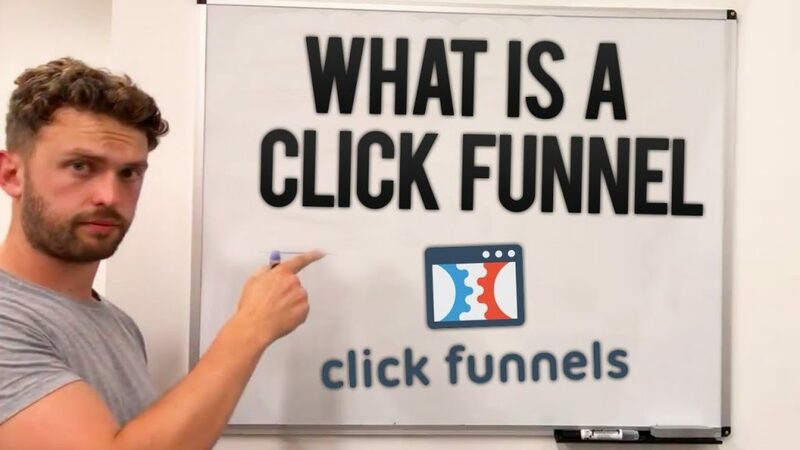 Today I want to answer this question, what is a click funnel? Well, a click funnel is basically an online sales funnel, but it’s widely referred to as a click funnel due to the growing popularity of the software called “Clickfunnels”. This software was created by “the” marketing genius Russell Brunson. For those of you that aren’t familiar with this software, you might want to read my full clickfunnels review. If you want to make money online, you need to understand the principles of a click funnel, well I think so anyway. In my opinion, if you are just selling from a flat website, you are leaving to much money on the table and in the future you may be left behind (I don’t mean to scare you, there is still time!). Here is a short explainer video. A good sales funnel should work like this, your customers come through the top, and money comes out of the bottom, that’s the simple version anyway. Today we are going to walk you through how a sales funnel works, step by step. Please bare in mind, I may refer to a click funnel as a “sales funnel” and visa versa, as they are in fact the same thing. All I’ll say is I’ve been there. I was working on one of my websites for about 18 months, it seemed like an uphill battle! Even when my sales began to increase, the profits got eaten up by the upcoming maintenance and site improvements, don’t even get me started on the cost of ad spend! I’m sure we all know about the cost of driving traffic, it can be ridiculously expensive! Don’t get me wrong, some niches are untapped but eventually it’s likely competitors will find them and your ad spend is going to be driven up. The cost of acquiring traffic is going to be one of your biggest expenses. You either have to be at the top of the search engines for your relevant keywords (this takes a lot of time and a lot of money) or you will have to have a pretty solid budget to run adverts. Why are we talking about acquiring traffic Nick? I thought we were talking about click funnels!? Well, the cost of acquiring traffic is what makes a click funnel so important! That’s why! Ok, ill explain, think of it like this, if you can spend $1 on advertising and receive $3 from your customer after costs you are left with $2 in profit. Well, if a competitor is spending $4 on advertising, he is going to be taking away a lot of your business and based on the above, you’d be losing $1 if you were to do the same, that seems so unfair! Well what if by using a click funnel you could offer more to your customers, at different stages, and this meant that on average you were receiving $9 after costs? I’m sure you’d be pleased, it would mean you had more money to invest into finding more customers allowing your business to grow and grow. When i discovered this it felt like a real light-bulb moment. Don’t worry if you don’t quite understand this yet, I’m going to walk you through a step by step example later in the article, next lets talk about some of the different types of click funnel. Some of these funnels are self explanatory, some are not, today we are going to talk about a sales funnel, if you want to learn more i suggest reading my clickfunnels review. So we’ve established that a click funnel, is in fact a sales funnel and click funnels is a specific brand of sales funnel software (that was abit of a mouthful). The creator of clickfunnels (Russell Brunson) stumbled across the idea for the software when selling one of his first products (Potato Gun Making Kits). Russell built his first sales funnel almost by accident. 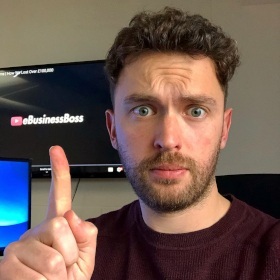 It was such a success that he decided to create software so other people could sell their products/services in a revolutionary way, and this was the birth of ClickFunnels. Click funnels provides ready-made funnels for chosen objectives, let’s use an example to show you how a funnel might work for a product launch. For this example, let’s say the “product” is a supplement to help people with aching joints. Here’s a video to help you understand the process. I will also be mapping it out with diagrams below. Let’s start with your customers, they are searching for the answer to their aching joints and they arrive at the first step of your sales funnel, the “Sales Page”. This might be a sales letter or even a sales video, you can design and test this to suit your potential customer. So, the customer is so convinced by your sales page that they purchase the product, They are then taken onto the next step of your sales funnel, the “Thank-you page”. This is a classic sales funnel, the customer has been led to the sales page via your chosen traffic generation method, they make the purchase then you say thank you, great! What if we wanted to take things a step further? Sure this sales funnel might be working well but how can it be improved. Well, let’s add another step into the sales funnel, let’s add in a “squeeze page” before the “sales page”, so now we are directing all of our traffic to the “squeeze page”, brilliant! But what is a squeeze page? Well this is a page where the potential customer will enter their email address and in return they will receive something of value, in this case maybe it will be an e-book providing health tips to people that suffer with aching joints. So the potential customers, will enter their email address, opt into the email list and receive their free ebook, great! We are now adding customers to our email list! This method works so well because we have a chance to re-market the offer to the people that didn’t make a purchase the first time they visited the page! This will improve the customer retention! Ok so we’ve added in the squeeze page and our sales have gone up A LOT, what can we do next to make it even more successful? We’ll let’s add in another step after the sales page, “The Up-sell”. Think about it, the people buying our supplements for aching joints, might well want to buy more supplements for aching joints! Especially if they were benefiting from a discount! Let’s add in the upsell page after the sales page, now when somebody clicks to order one of our products, they will be immediately taken to the upsell page. Some of the customers will make the purchase, some won’t, but can you see, you are now selling more products by giving your customers the option. If you don’t want to sell more of the same product, you might have another related product that the customer might be interested in, at this stage it’s up to you, whatever works for you and your business. Ok, so now we are making a lot more money, but again we can improve, lets add a “2nd Upsell Page”, this might be a related product or something else that your customer might find useful, this might be something you add into your sales funnel later down the line. For this example let’s say we want to offer some “aching joint cream” as an additional product, this will help our customers with the same problem. So we add in the second offer “three bottles of aching joint cream” and again some customers are making the purchase! Now we are flying, but again can we improve? The answer is yes. Some of the customer’s might not want three bottles of cream, they only want one. So when the customer declines to purchase on the 2nd Upsell, we send them to another step “The Down-sell”, again some customers will just purchase the one bottle of cream. To finish. We will then take them to our original final step of the sales funnel, the “Thank you page” this will show them what they have bought and allow them to finish their order. I’m sure you can see that this sales funnel has the potential to be far more profitable than a standard flat website, your customers are given different purchasing opportunities at the right times. I like click funnels because I want to maximize the money I am making. If I spend a $1 on advertising to get the customer onto my sales page, I want that customer to be as profitable as possible, this means I can spend more money acquiring the customer in the first place! Can you see the value of a click funnel? I hope this example has proven useful! I hope you now understand exactly what a clickfunnel is. When I discovered the click funnel methodology I had a real “ah ha” moment. With clickfunnels you can literally tweak your sales funnel to suit your business and products, there are so many different options. For fun I asked a few clickfunnel users the original question, what is a click funnel? I’ve written this article to answer the question, what is a click funnel? I hope it has helped, i love to hear your comments below. If you want to find out if clickfunnels can help your business I’d recommend reading my full clickfunnels review. P.S If you like this sort of content be sure to like us on Facebook, Pinterest etc. You can share this article by clicking the social buttons on the left.